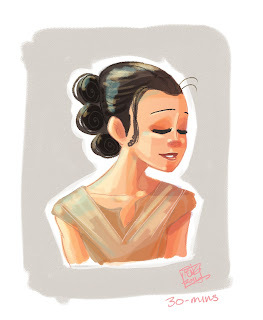 been doing a lot of Rey sketches lately as i try to get back into drawing in 2016. i've seen so many great Rey fanart floating around the internet and i really wanna add to that dialogue properly. but since i'm a little rusty, these will have to do for now. the first one was done completely digitally. no sketching on paper at all, which is something i've been struggling with. i'm working on getting more comfortable sketching on my cintiq but i can only do that with more practice. this rey doodle is the first art i've done in 2016. gotta hand it to JJ Abrams & Star Wars to turn this previous-skeptic into a real fan. the second is just a quick pencil doodle i did on some random sheet of paper i found around the house. if ur not that familiar with the original star wars trilogy, don't worry, i wasn't either. 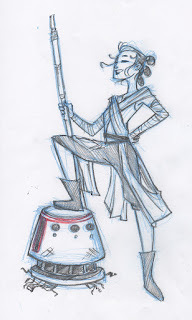 but i did remember that little crappy red droid that Luke was about to buy before he bought R2D2. my hubby showed me that in some comic it actually has a name - Skippy. 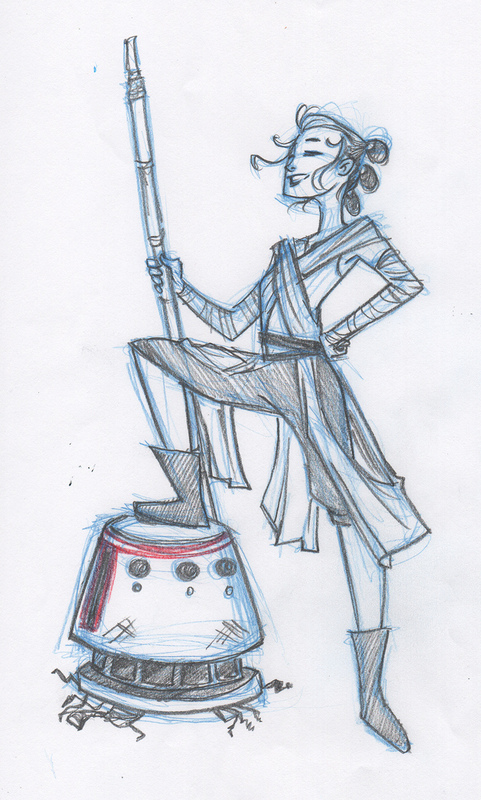 and since Rey is a scavenger of old mechanical relics, i thought it'd be neat to have her find a piece of it. probably wouldn't fetch her any portion of that insta-bread tho. the struggle is real on jakku.